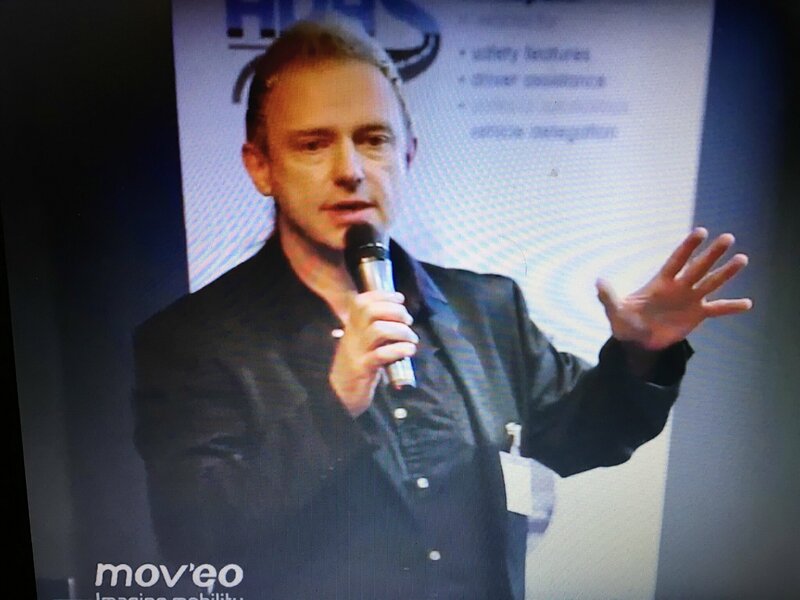 The CEO of NEXYAD presented at the ADAS Morning Synposium in Paris (organized by MOVEO) the smartphone App SafetyNex that reduces accident rate by 20% and that records risk profiles for Insurance companies. This smaprtphone App is relevant both for the driver (real time alert that lets the driver slow down and keep safe in dangerous situations), and the insurance company (that gets a "real" risk assessment : risk assessment method used by SafetyNex has been PROVEN through 15 years of collaborative research). La société NEXYAD vient de proposer un article présentant sa vision de l'évolution du métier d'assureur, sous l'influence de la pénétrations du numérique, et en particulier, des objets connectés, des smartphones, des capacités avancées de télématique embarcables à bas coût dans les véhicules. "Modification profonde du métier de l’assurance auto. Apport de l’App smartphone SafetyNex dans ce contexte global." are usually very well designed, and based on high-performance modules. But unfortunately, this is not enough to void the the risk of accidents. Indeed, for the treatment of this risk, it lacks a parallel circuit (oarallel and independent) called "monitoring" circuit. for each color (then, 24-bit, as there are 3 colors) may encode 224 different color levels per pixel (more than 65,000 different possible values). HD video has more than 2 million pixels. This means that the matrix of HD 8-bit color image may encode more than 65 000 2 000 000 images ! cases of road scenes ! Even one or ten million kilometers of testing represents a negligeable part of possible cases ! And please do not think that you can easily reduce this complexity, assuming that road scenes have a "SPECIFIC SHAPE" (the road in front of the car). case, all images are possible, including the image of a straight road in the desert, while the actual road, the one on which the vehicle sets, turns !). the open world. In other words, it is necessary that all cases already met in the validation process are used to create a kind of "confined space" called "known space". 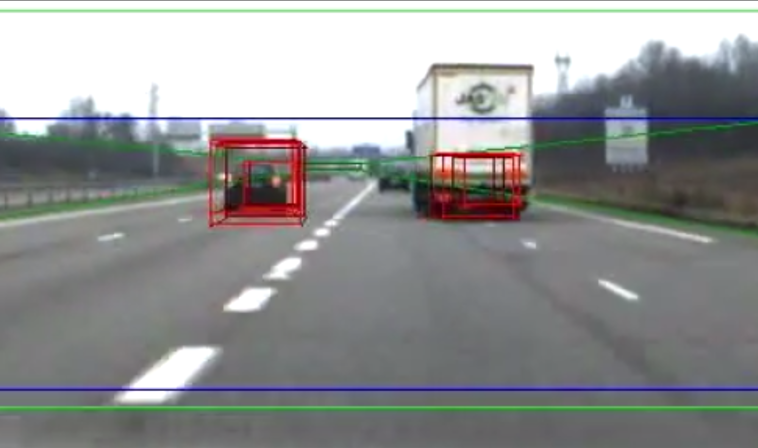 so that the built-in intelligence to know if the road scene meets cases in which it can react properly, or if the road scene is very different (unknown case). Therefore, in parallel of the construction of the main auto-pilot chain of perception, intelligence and control , it is necessary to build a second circuit for case monitoring. 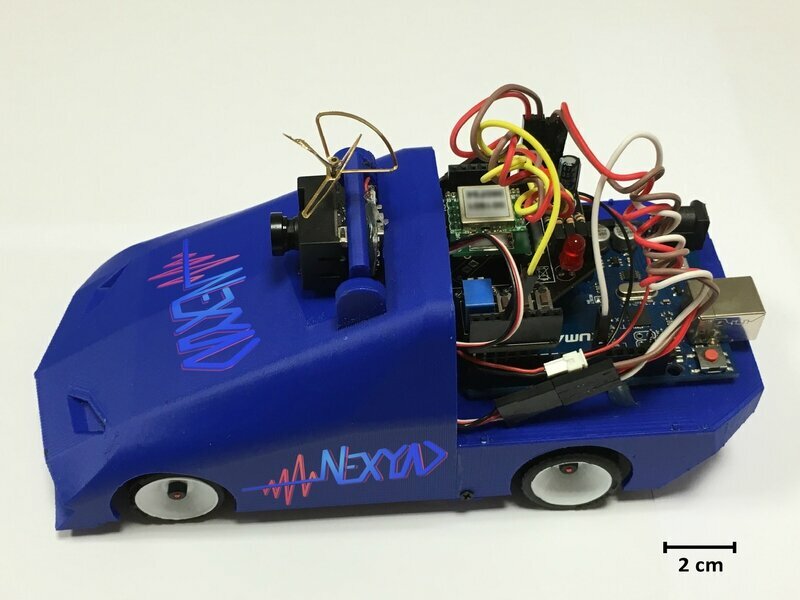 NEXYAD has been developing three software modules aimed at achieving this kind of monitoring circuit. 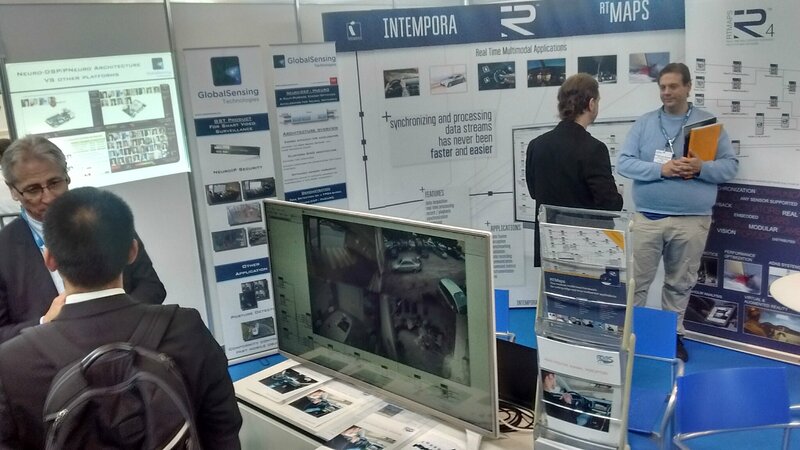 Onboard telematics, smart phones, connected devices, are now in use to monitor driver’s behaviour : habits, way of driving, etc ... Many organizations are interested to collect, use and monetize those data, and one of the key questions is about the driver, privacy and choice to share data, and also his interest: What will he/she get in return (new and important) : Is it possible to offer security and safety new features that could save his life? Does it have an economic interest ? Can we guarantee not to record (in the cloud) of personal data to respect privacy? We describe the use case of automotive telematics for insurance companies. Embedded telematics in vehicles could revolutionize the business of insurance companies. Indeed, insurers must price their garanty and they must take care of the accident rate for a given driver : . 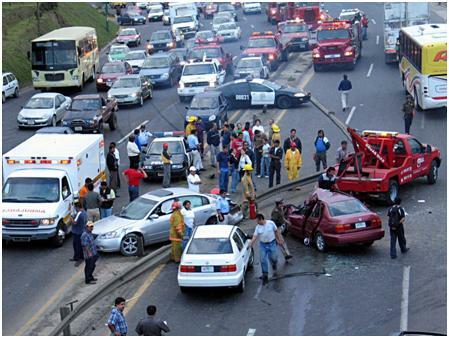 if costs of accidents (for a driver) is more expensive that the price he/she pays, then the insurer loses money on this driver (*) . if the price to be paid is too high, then the driver may quit and find another insurance company. (*) Insurers reduce risk by using the actuarial expectation (sum of paid prices minor sum of riskweighted by associated loss costs), thereby modulating pricestaking into account actuarial expectation (that should be positive) and not only individual risk: actuarial expectation has the effect of neutralizing the randomness of individual risk if portfolio is large enough. The scope for the insurers in terms of pricing is quite narrow. They need to estimate as accurately as possible risks, and associated loss costs, in order to offer consistent prices. Similarly, it would be interesting to act on the driving style of the driver, and thus decrease the loss cost and / or reduce the risk of accidents. In such a case, it would increase margin, or it may allow to lower price and be more competitive. 2 One can imagine many ways to achieve pricing using telematics: . 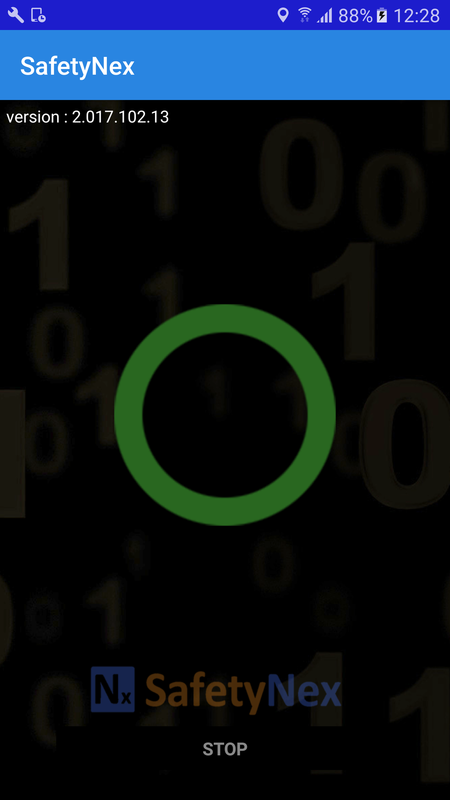 production of more accurate customers segmentation, . « Pay how you drive » . a mix of both approaches. Main useful information is the risk profile of the driver and, for better understanding, usage statistics (number of kilometers, used types of infrastructure - highway road city - hourly statistics, etc. ...). In no case does the actuary need to know precisely where the driver went, how fast he was driving, and at what time. Even the driving style is not important (as we could explain in the previous white paper, see references, severe braking is no help to estimate risk of accident) : Those data are not part of the data needed for insurance companies. Risk is as we said the main needed variable for insurance companies, with statistics of uses, the there is no need to collect confidential data (like timestamped geolocation and speed, for instance). We can say then, that it is normal that insurance companies all look for devices and smartphones to collect data. For the driver, this may allow in particular reduce pricing injustices: . young drivers pay in France three times the average price (in other countries it is much more) because statistically risk profile is very high. Telematics lets the insurer know the individual actual risk of a young driver (and THIS young driver may be an excellent driver even though he/she is young !) . a driver who has three accidents because he/she is a risky driver, or a safe driver who really had bad luck (it happens) are currently seen the same way by insurers. Penalizing the safe unlucky driver is really unfair ! And it doen’t correspond to the probability of accident. Similarly, helping seniors to go on driving their individual car as long as possible is an important social issue in view of the aging of our populations: the individual vehicle is still a social connection tool, and the best suited to ensure the mobility of senior citizens (no stairs to climb, no rush hour, no long walks in the corridors, etc ...), but declining reflexes and bad eye sight can cause road safety problems. A unitary measurement of the risk profile can may lead to rapidly detect any deterioration in driving performance (increased risk), and thereby enable the insurer to propose preventive and corrective effective actions, appropriate and personalized (updated knowledge of road risks, visit the ophthalmologist, etc ...). As mentioned before, relevant data for insurers are : . risk taken by the driver . kilometers . used types of infrastructure (city, road, motorway) , Dayparts . days of the week . habitual nature or not for a path 3 . geographic area of main use of the vehicle (not trips or places visited by the driver, just the regions to see how some areas are more accident-prone than others). The insurer (unlike other professions such as fleet managers), needs no accurate location data and time stamped (except for anti-theft function or post-theft). Data of interest must be gathered into histograms (aggregate) and contingency tables (aggregate data still there). Aggregation warrants the driver that there is no spying. With those data, it is absolutely not possible to reconstruct the path or know any crimes he committed (it is not known where the driver went, for how long and at what time, or how fast). So one can say that the real need of data for the insurer meets a priori requirements of every national agency for data privacy monitoring (including CNIL in France), and more generally meets the elementary rules of ethics. Contrary to what we sometimes read, the risk of accident can not possibly be inferred from a measurement of the brutality of breaking (with accelerometers). Work on this subject has been published in scientific congresses, and the reader is invited to consult the chapter « 8 - references ». It is too bad, but you will never get a proper risk assessment if you use this so called « severe breaking » - based intuition. Thus, current deployments based on detecting severe braking and other seemingly logical ideas (but false) are they doomed to failure. NB: It is easy to understand that if you drifts and do severe braking on a disused airport runway is not dangerous. If you do the same thing in front of a school, it is extremely dangerous. If you do this on an open road with crossing roads, it is both dangerous for the others and for you. Similarly, if you drive with no severe braking and if you don’t stops at the stop sign … it is extremely dangerous. The context is very important (talking about contextualization of driving behavior). Then, because you must compare driving behaviour to context (infrastructure characteristics, for instance, variables to determine risk are mainly: . vehicle speed (and related data: acceleration, ...) . accurate geolocation (GPS signal) and positioning on a map (whether you are on a disused airport in front of a school, or on an open road with crosses, etc). From these data, it is possible (but not easy) to determine the risk taken by the driver. Only contextualised approaches as indicated above are scientifically credible, others are eliminated directly. It is tempting to record all the raw data (speed, location, acceleration, ...) in the cloud and then build offline, on high capacity servers, "risk scores". This would allow the use of modern methods of deep learning, for example, and would also allow the use of very high memory capacity and computing power. NB: this off-line approach fails to warn the driver that he/she is in danger (because even if the computation in the cloud is fast and real time, data transmissions latency for upload or download is not garantied). It's a shame to estimate risk and not to warn the driver in situ! 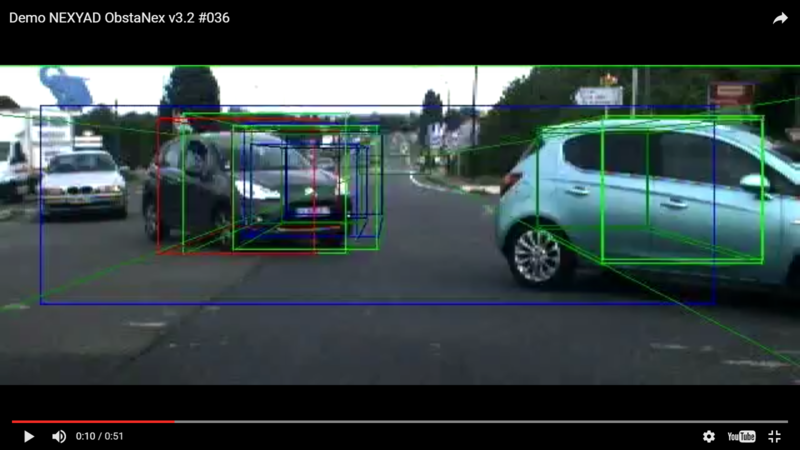 Recording of raw data in the cloud faces a major problem : from timestamped speed of the car and GPS signal, you can locate the vehicle on a map … that has many points of interest including speed limits ! Therefore, it is extremely easy, from those raw data to detect any speed limit infringement. In France the detention of violations of law by private companies is generally not legal (except special mission given by the Goverment) : it is strictly prohibited by the Penal Code (which is monitored by the CNIL): see "8-references" Art. 226-19 of the Penal Code. In other countries where data privacy protection is not as strict, we believe that the detention of law violation by insurance companies is contrary to the basic ethics. Especially since the insurer does not need this information to compute pricing, as explained above. It is very important to clearly understand this problem: an insurance company that collects raw data including speed and gps, and that records them into a cloud (on computer servers) indirectly owns offenses to the law. In France, for instance, it is likely to be prosecuted, and rightly so, by the CNIL. This solution of « recording raw data in the cloud » to estimate a rik must be avoided: it's tempting, of course, but do not. en particulier déploient en ce moment des boîtiers et des applications sur smartphones chargés d'estimer le risque pros par le conducteur (risk assessment). Cet article explique en quoi les applications d'estimation du risque de conduite ne sont pas compatibles avec les calcul basé sur des statistiques dans le cloud. En effet, les données enregistrées pour calculer un risque permettent de reconstituer, une fois confrontées à une carte de navigation, les infractions (de type excès de vitesse). Or, l'enregistrement d'infractions dans des fichiers informatiques, même de manière indirecte, est interdit par le code pénal et poursuivi à juste titre par la CNIL. Nous présentons ensuite l'application SafetyNex qui permet de calculer le risque pris par le conducteur en localisant tous les calculs dans le microprocesseur du smartphone, évitant ainsi d'enregistrer les données brutes dans le cloud. 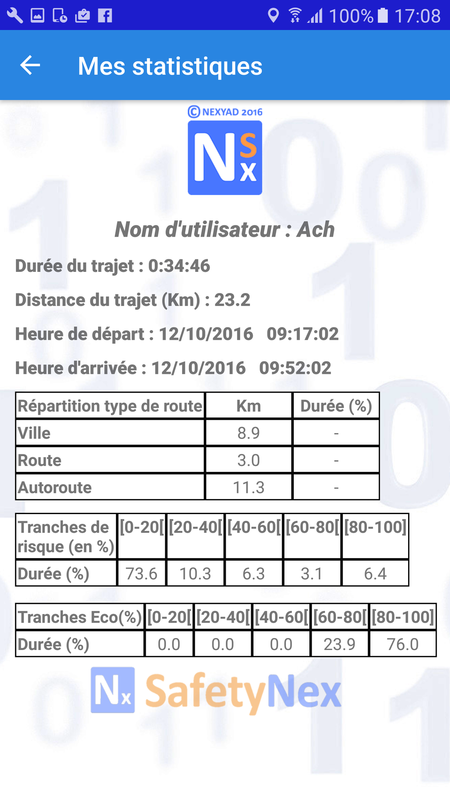 Cette application fournit toutes les données nécessaires aux assureurs, sans jamais transmettre de données confidentielles (SafetyNex ne permet pas de savoitr où est le conducteur, à quel moment précis, et à quelle vitesse il roule, sachant que ces données très personnelles ne sont d'aucune utilité pour la compagnie d'assurance). 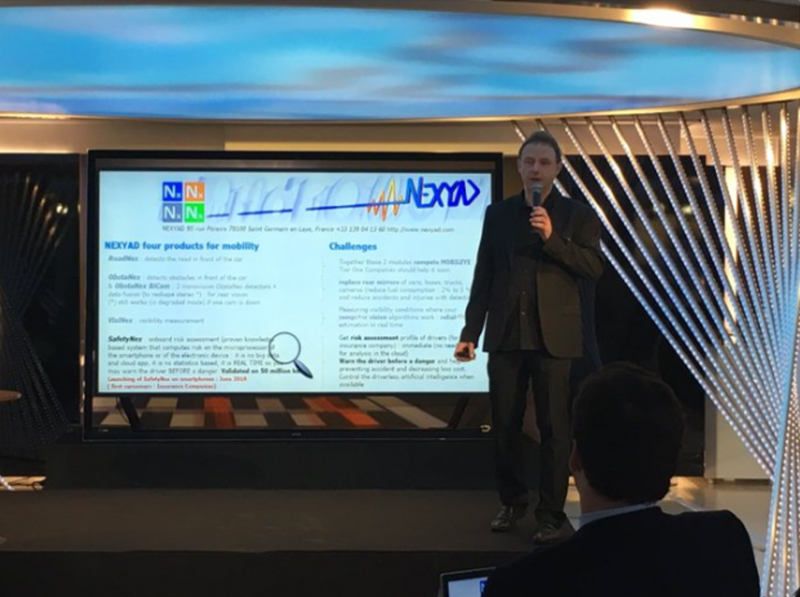 SafetyNex développé par NEXYAD est de ce fait une application disruptive autant par son mode de calcul (le calcul du risque utilise la notion de quasi-accident développée par les experts de la sécurité routière), que par son implantation informatique (calcul en local et non pas sur des serveurs informatique distant, si bien que les données confidentielle et personnelles du conducteur restent dans son propre smartphone sans que l'assureur ou NEXYAD ne puisse y accéder). Par ailleurs, SafetyNex permet d'alerter le conducteur lorsqu'il s'engage trop vite sur un tronçon d'infrastructure dont il n'a pas perçu le danger. L'alerte intervient en temps réel et en amont du risque, si bien que le conducteur a le temps de ralentir et de faire ainsi baisser son risque. Cet aspect "aide à la conduite" et prévention des accidents est unique. 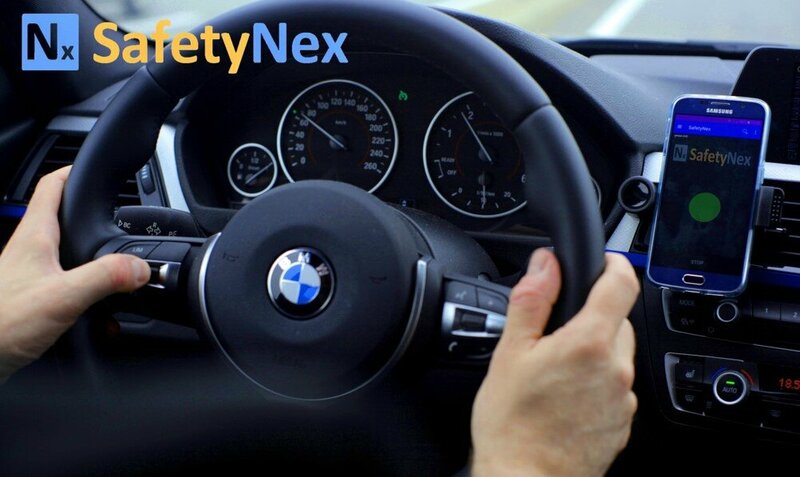 SafetyNex has been selected by BMW at the BMW Tech Date. The President CEO of NEXYAD made a presentation of the methodology AGENDA for ADAS specification, development, and validation. 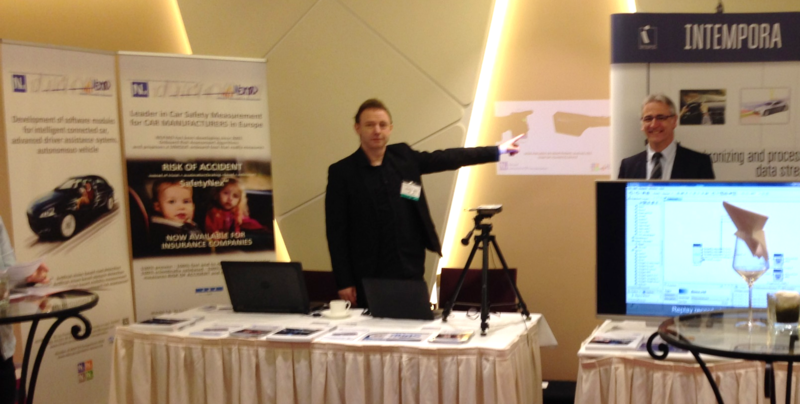 NEXYAD and INTEMPORA are together at this congress on automotive active safety. 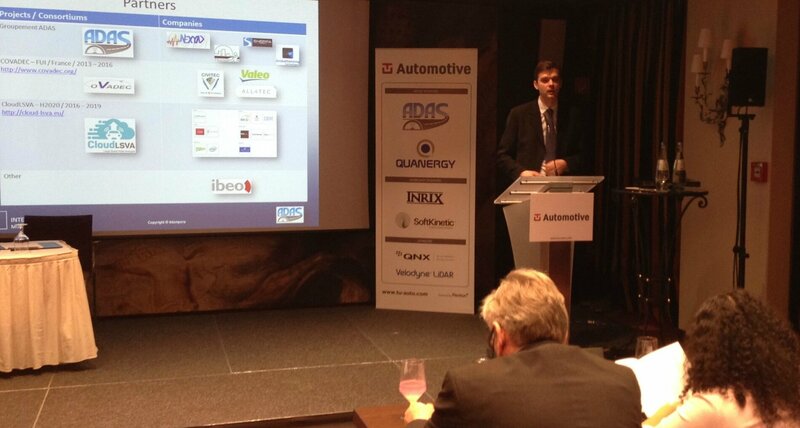 The head of INTEMPORA, Nicolas du LAC is also speaker and presents a paper on ADAS validation.